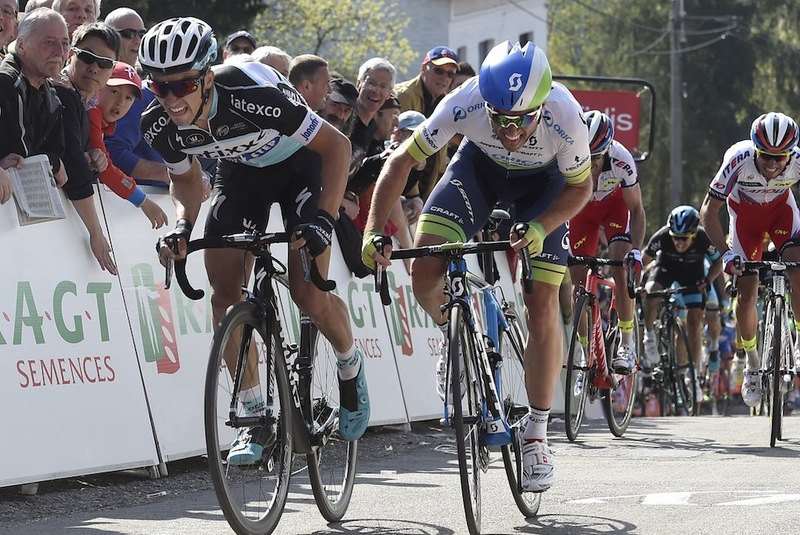 Like a fine wine, Alejandro Valverde just seems to get better and better. The Spaniard wins so many races that his exploits in the Ardennes sometimes go a bit unnoticed, but he fully lived up to his status as the favourite in all the races. The Movistar rider just missed out on the Ardennes clean sweep, pipped on the line by Etixx-Quick-Step’s Michal Kwiatkowski in the Amstel Gold Race. But that minor blip on the palmares was recovered a few days later when he won Flèche Wallonne. It’s sometimes quite hard to like Valverde, given his relentless ability to win any race he turns his hand to and his shady relationship with doping, but it’s tough not to appreciate his longevity and versatility. Be it a three-week stage race (Valverde’s had 12 top-10 finishes in the Grand Tours) or the one-day Classics (he’s won eight) the 35-year-old is always in the mix. Indeed, in the last three seasons Valverde’s worst finish in an Ardennes Classic was seventh in the 2013 Flèche Wallonne, recording seven podium finishes in nine races. While Philippe Gilbert’s Classics career appears to be waning in his 30s, Valverde is still showing the youngsters exactly how its done. Having said Gilbert isn’t much of a force in the Ardennes any more, the Belgian would have probably won the Amstel Gold Race if the organisers hadn’t moved the finish line. We saw Gilbert make his trademark attack up the Cauberg, the very same climb that he’s won three Gold Races and a World Championship on, but instead of raising his arms just past the summit like in previous years he had to plough on for another 1,500 metres. By moving the finish line into the town the organisers were probably able to encourage more people to crowd the streets there and spend money in the cafes. While the crowd were deprived of another Gilbert win, they did get to see the man who could emulate the BMC rider, Kwiatkowski, take the victory. 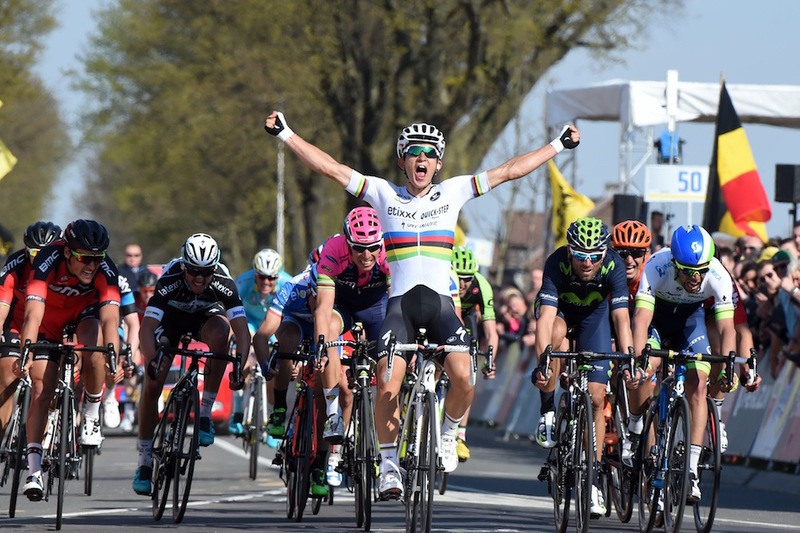 But the Pole looked dead and buried up the Cauberg as Gilbert and Michael Matthews charged away, but with enough time to recover after the summit, Kwiatkowski was able to take it with a sprint. It’s good for the race to have a new winner, and for it to go down to a bunch sprint, but it makes the fourth ascent of the Cauberg less of a challenge, with the strongest rider up the hill definitely not the one who goes on to win. Sprinters sometimes make the case that flat races need not be massively long because they ultimately come down to who is the fastest in the final 500m. If we’re to go by that logic then the Flèche Wallonne organisers may as well knock off the first 205km of the race and just give the riders a 500m sprint to the line. It was another memorable edition of the race, as long as all you remember from the others was the final sprint for the line. A few crashes nearly ruined the race for a handful of riders, but even they didn’t really affect the overall result. It was essentially a five-hour exercise in proving what we knew already – Valverde was probably going to win. Here’s hoping it livens up in 2016. 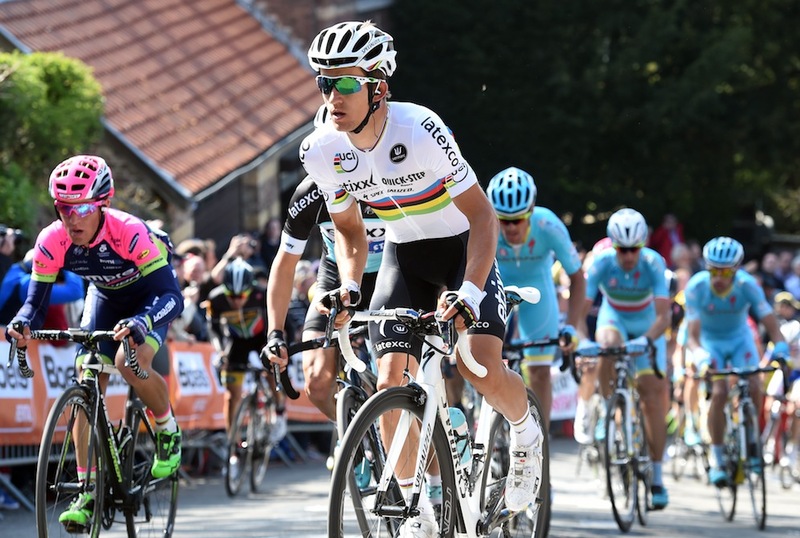 As mentioned before, Kwiatkowski’s final ascent of the Cauberg was not a pretty sight. The Pole was pedalling squares as he tried to chase Gilbert up the hill and anyone with money on him would been ripping up their betting slips in any other year. Luckily it made no difference because he came good when it mattered and sprinted for the win. The move showed the maturity that the young world champion has – many other riders would have simply dropped back if they struggled as much as the Pole on the Cauberg. The Gold Race is one that certainly suits his style – short and punchy climbs dotted along the route – compared to the slightly tougher challenges in Flèche and Liege. While the latter two races don’t necessarily suit Gilbert, the Belgian still managed a clean sweep of the Ardennes in 2011 and there’s no reason why Kwiatkowski can’t follow in his footsteps in years to come. His performances in Flèche and Liege this year were not standout by any means, finishing 33rd and 21st respectively, but a pair of third-places last year showed the Etixx rider has what it takes to become an Ardennes legend. Similarly, Etixx-Quick-Step have churned out another Classics contender with 22-year-old Julian Alaphilippe coming from nowhere to help himself to consecutive second places behind Valverde. The Frenchman also picked up a seventh-place finish in the Gold Race in what was an incredibly successful race for the relatively unheralded rider. In Liege, Alaphilippe was sandwiched between riders 13-years his elder in Valverde and Joaquim Rodriguez, but mixing it with the old guard didn’t seem to faze him at all. With Kwiatkowski and Alaphilippe in their squad, Etixx’s strength in the one-day races continues to grow, all they need to do now is find a way to stop Valverde from winning. The crashes in the Flèche Wallonne and Liege-Bastogne-Liege were interesting because they all happened at the most innocuous times. Philippe Gilbert saw his chances ruined by a crash in Wednesday’s race, with the Belgian only able to produce a puny 500W in Liege. But his crash was caused by an overzealous rival trying to gain position on a flat piece of road some way from the finish. Then there was Chris Froome, who was only really riding Flèche because the Mur de Huy features in the Tour de France this year. But the Team Sky man will be hoping not to finish 12 minutes down on the winner come July, like he did on Wednesday. 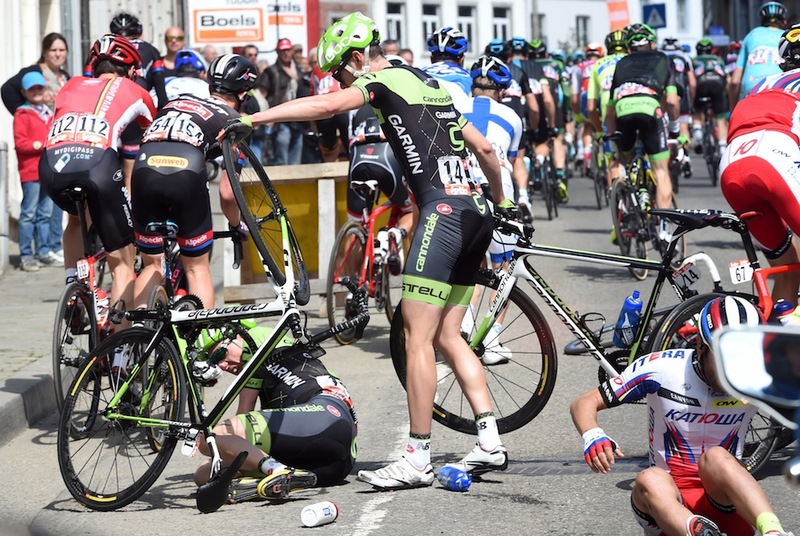 Poor old Simon Gerrans was in the wars again at Liege, coming down in the crash that floored cousins Nicolas Roche and Dan Martin before inexplicably stacking it on his own just minutes later. It’s not uncommon for inexplicable crashes in the Ardennes – see Martin’s slide out in the final corner last year – but when these races become more known for the accidents than the racing itself they start to get a bit ridiculous.